Tom Cruise wears a pair of L.G.R. 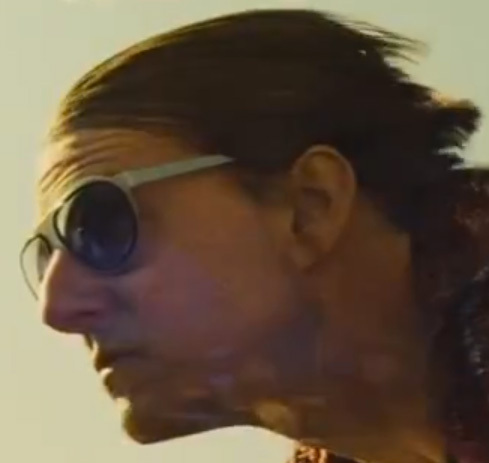 Comoros sunglasses during a motorbike chase in Mission: Impossible - Rogue Nation. Tom Cruise wears a pair of stainless steel L.G.R. 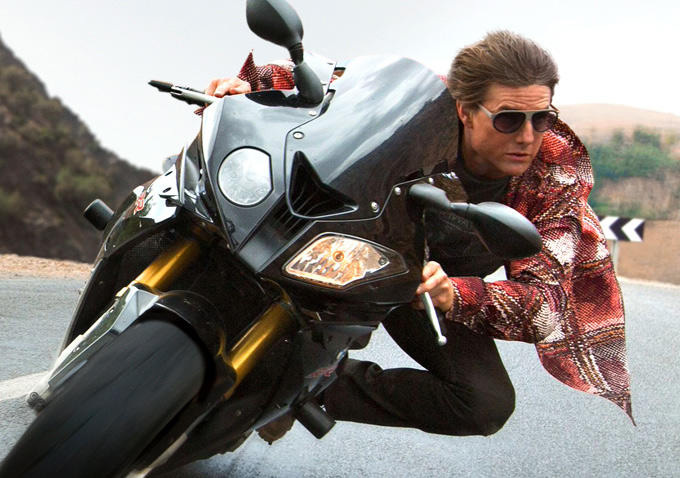 Comoros sunglasses during a motorbike chase in the 2015 action movie Mission: Impossible 5 - Rogue Nation. The glasses, completely handmade in Italy, have a 1mm stainless steel frame and Zeiss Organic CR 39 grey lenses and black cellulose acetate terminals. Cruise wears at least one other pair of L.G.R. sunglasses in the film.